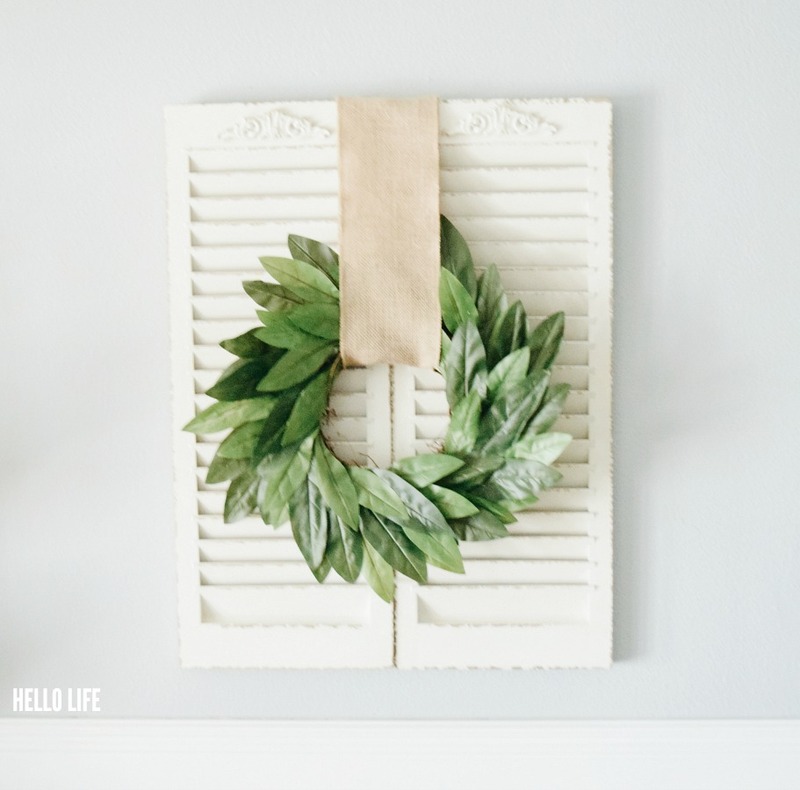 DIY Magnolia Wreath-Love Fixer Upper? 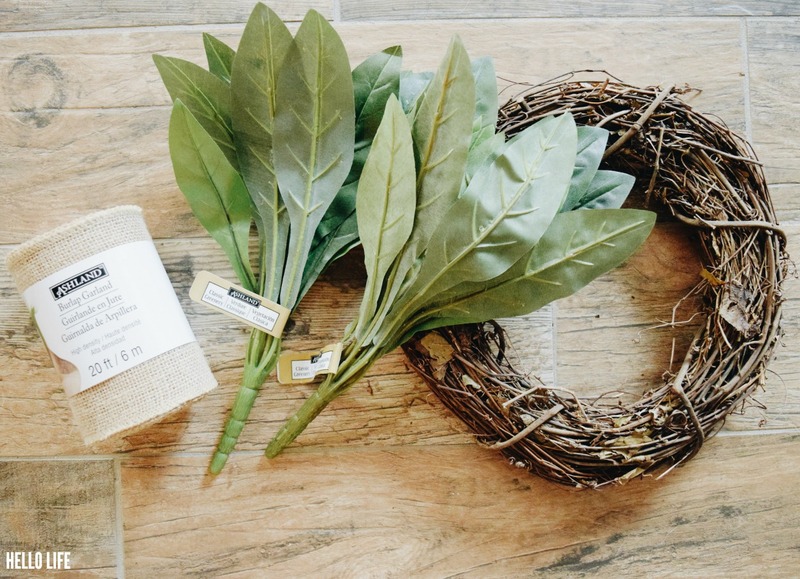 Learn how to make a DIY Faux Magnolia Wreath with this easy to follow tutorial in less than 1 hour! Fall is on hold this week around here as temps have soared to the mid 90’s! I’m not sure if this is some sort of a cruel joke or what, but this blazing heat business needs to stop it now. Bring on the crisp fall air! I’m home from work today and with this heat, I should be chilling by the pool with a cold drink, but thanks to my type A personality, I just can’t ignore several unfinished projects around the house. This Magnolia Wreath has been waiting to be hung up for days, which isn’t so bad compared to the curtains that have been waiting for weeks, and the shelves that have been sitting for months. So basically, I am totally winning! Like every single one of you reading this right now, I have an obsession with the HGTV show Fixer Upper, and all things Joanna Gaines. She is the holy grail of farmhouse design right now! I simply adore her style. She incorporates lots of greens in her decor, real and faux, it really adds a pop of color to the otherwise mostly neutral (and gorgeous) scheme. 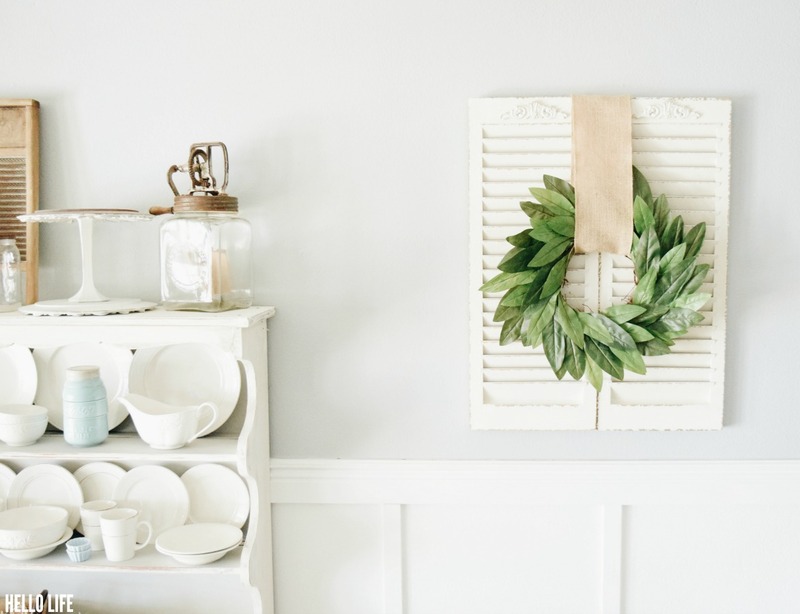 I attached my new Magnolia Wreath to a pair of shutters for the farmhouse feel that we all covet, but also to fill up some empty wall space in my kitchen-dining room combo. 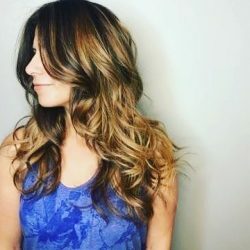 To make this you need only a few items, and about 30-45 minutes. Let’s get to craftin’! All materials used for this project are from Michaels. 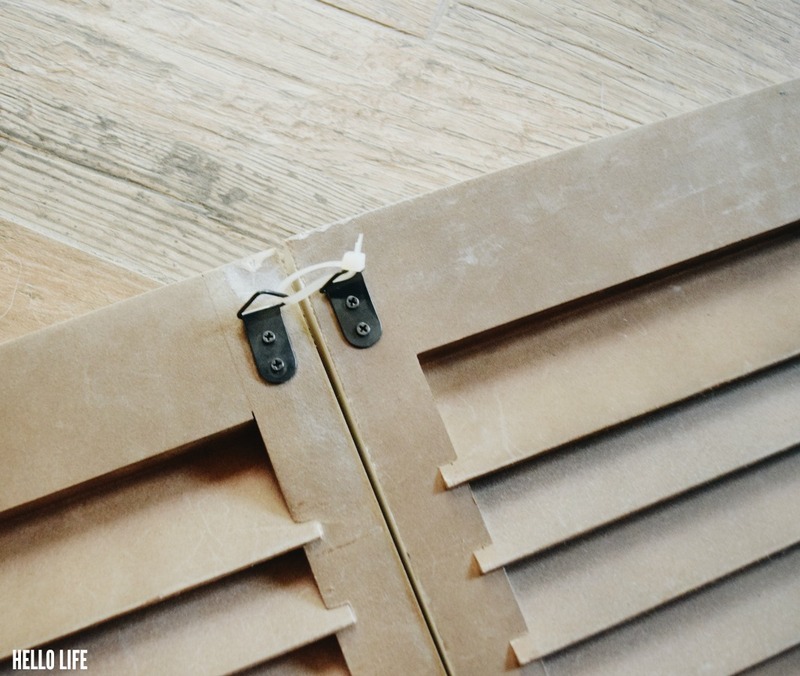 Assemble the shutters by placing them side by side, and securing them taut with the zip ties. One near the top, one in the middle, and one near the bottom. 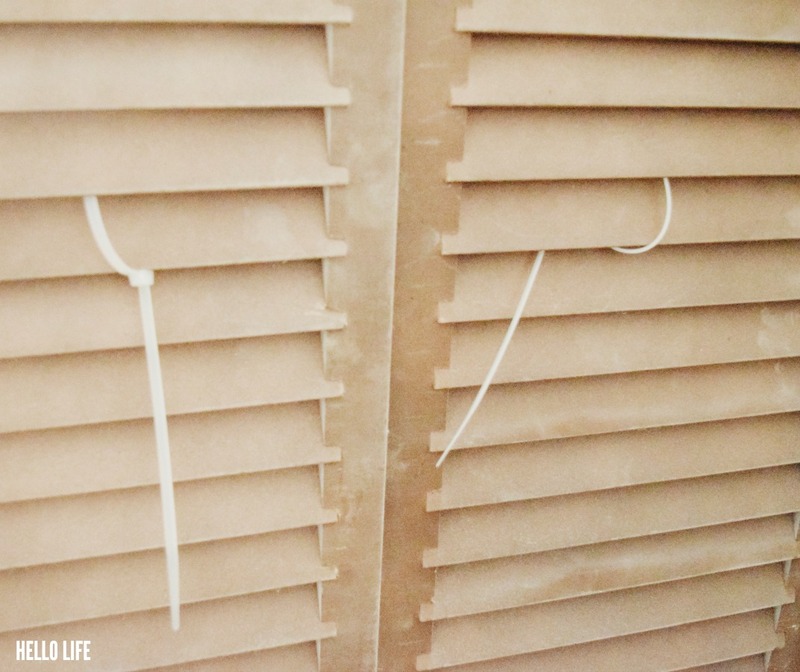 Although my suggestion is to use clear zip ties, it is important to use a color that is as close to your shutters as possible. 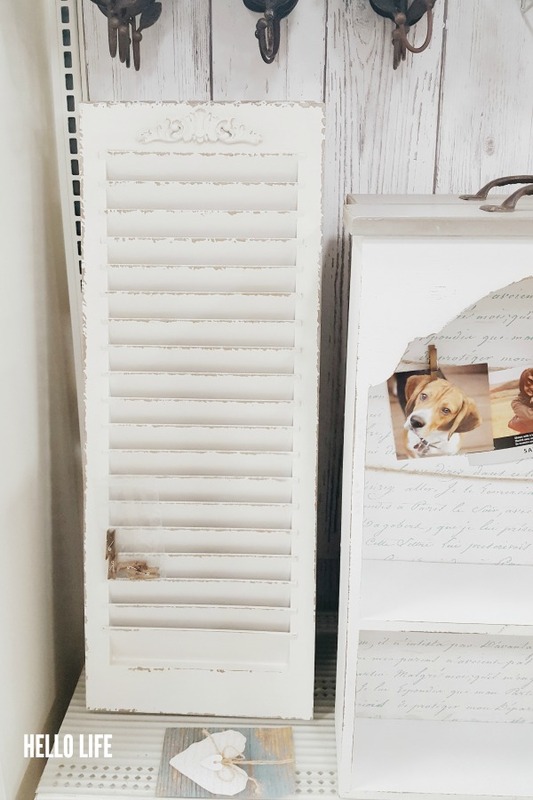 My shutters are ivory, so the zip ties are clear. Tip: If the zip ties are too short, simply connect 2 or more together as needed. 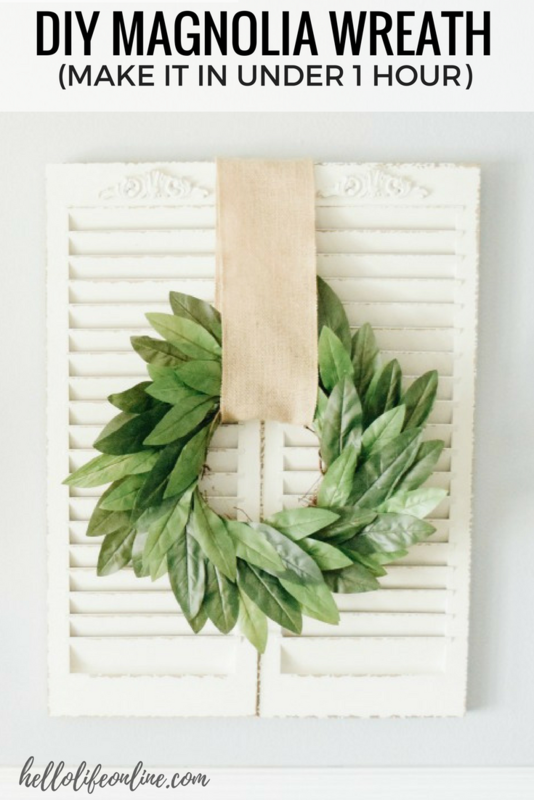 Set the shutters aside and put together your wreath. 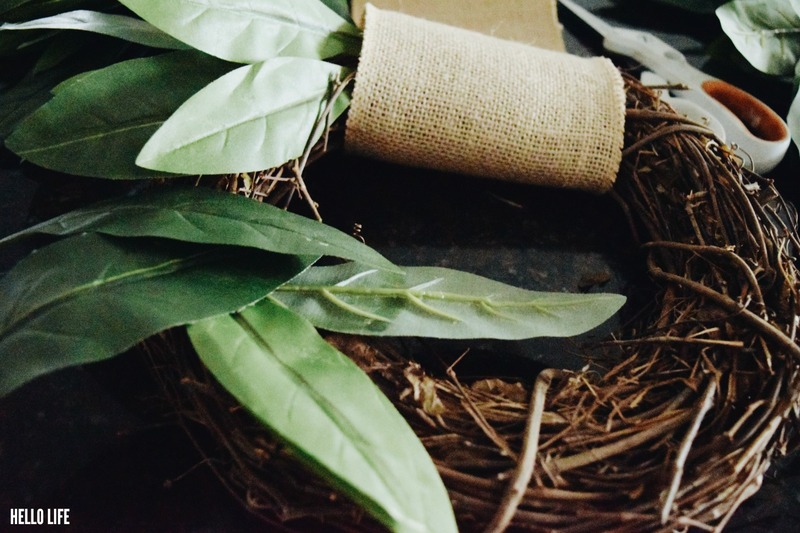 There is no rhyme or reason here, just tuck the stems into the grapevine wreath, with all the leaves aiming in the same direction. Secure with hot glue; be sure to leave some available space at the top for the ribbon. 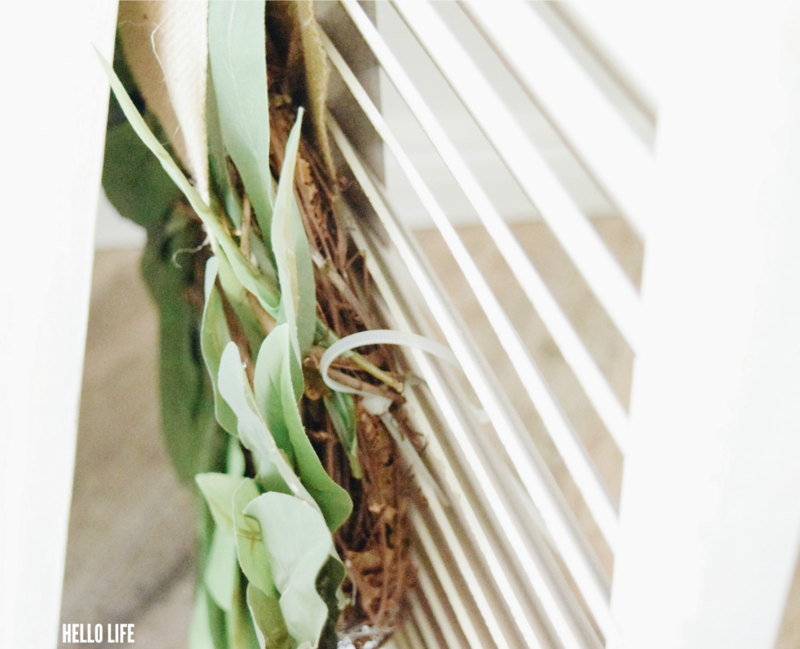 To add the wreath to the shutters, you guessed it–use zip ties! This will ensure that your wreath will never, ever fall off your shutters. 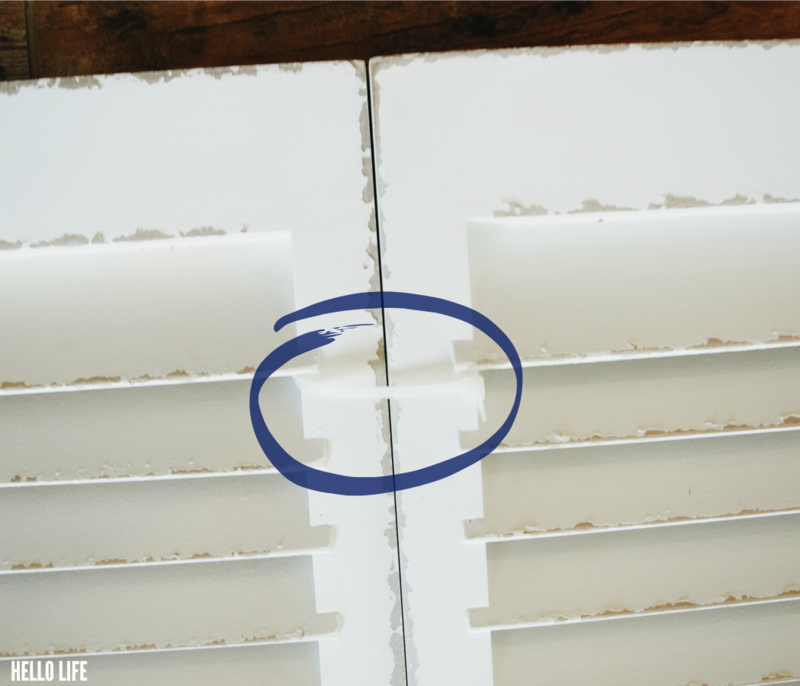 Hot glue the ribbon to the back of the shutters to keep in place. 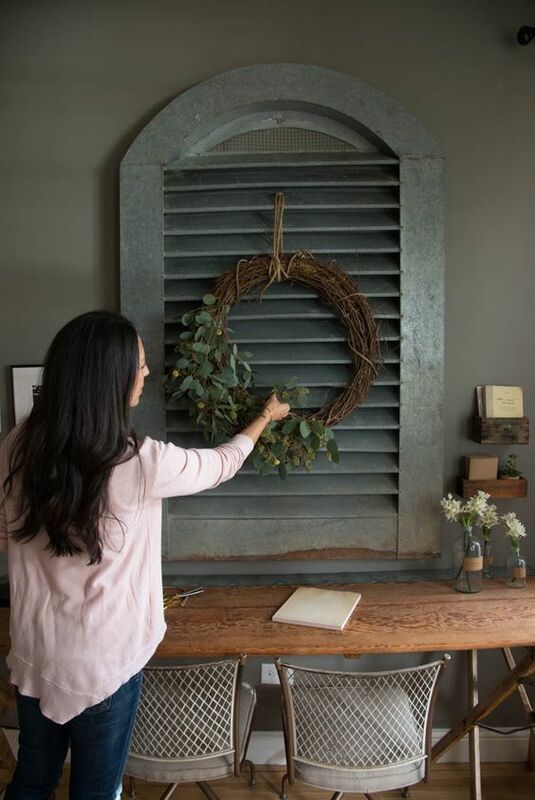 These particular window shutters come equipped with hooks so it was easy to hang my new farmhouse Magnolia Wreath on the wall. 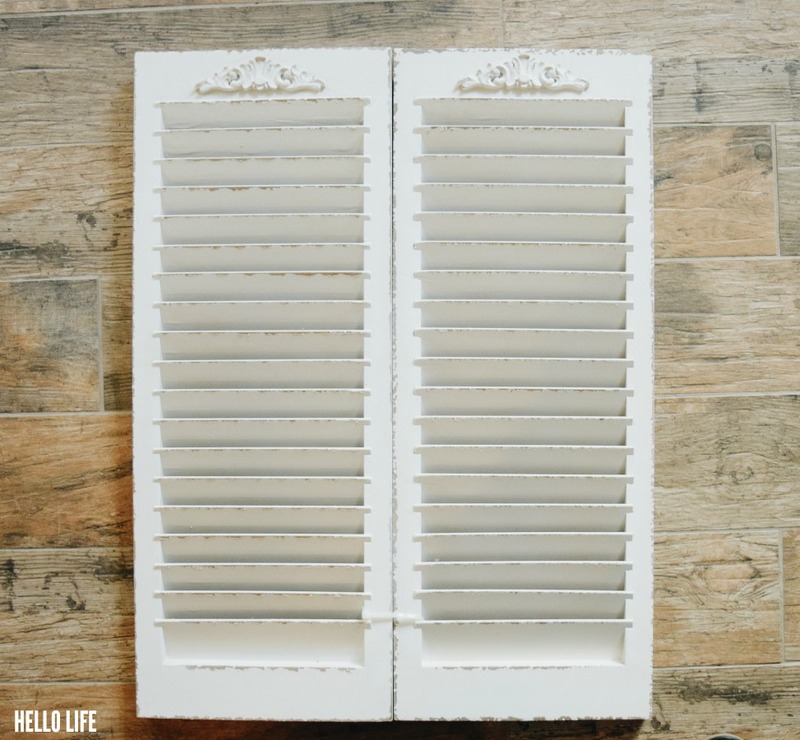 If your shutters do not have these built in, then pick up an inexpensive hanging kit to affix it to the back of the shutters and voila! The Magnolia Wreath looks really good in my eat in kitchen! A little piece of Fixer Upper in my own home. Are you a fan of HGTV’s Fixer Upper? How would you incorporate Joanna Gaines’ style into yours?